Administrative Law Judge (ALJ) Robert Helfand, Office of Administrative Hearings, State of California, heard this matter in Huntington Beach, California, on January 17, 18, and 19, 2012. Vanessa Jarvis, Attorney at Law represented Student’s Parents and Student (Student). Student’s mother (Mother) was present on the first and third days of the hearing and for the morning of the second day. Student’s father (Father) was present on January 18 and 19, 2012. Minh-Hanh Nguyen, a Vietnamese interpretator, was present on January 17 and 19, 2012; while Minh Q. Nguyen was the interpretator on January 18, 2012. Jennifer C. Brown, Attorney at Law, represented the Westminster Unified School District (District). Leisa Winston, Administrator of Student Services for the District, and Robyn Moses, Program Director of the West Orange County Consortium for Special Education (WOCCSE), were present throughout the hearing. Student filed his due process request (complaint) on September 12, 2011. On September 22, 2011, the District filed a notice of insufficiency as to Student’s complaint. On September 22, 2011, the Office of Administrative Hearings (OAH) issued an order finding that Issues one, three and five were sufficient and issues two and four were not sufficient. Student was permitted 14 days to file an amended complaint if he chose to. Student failed to file an amended complaint. On October 21, 2011, the parties filed a joint request to continue. On October 24, 2011, OAH granted the request for continuance and scheduled the due process hearing for January 17-19, 2012. At the hearing, the ALJ received oral and documentary evidence. The following witnesses testified at the hearing: Mai Vi Nguyen; Stephanie Penticuff; Leisa Winston; Father; Marjorie May Schubert; Linda Allen, Robyn Moses; Patricia Larkin; and Ashley Kinsling. At the request of the parties, the record remained open for the submission of written closing and rebuttal arguments. The parties filed their closing briefs on February 6, 2012, and rebuttal closing briefs on February 16, 2012. The matter was submitted on February 16, 2012. Did the District deny Student a free appropriate public education (FAPE) by refusing to implement the February 4, 2011 Individual Education Program (IEP) by placing Student in the SUCSESS program1 at Johnson Middle School? Did the District deny Student a FAPE by failing to implement the goals and transportation services called for in the May 13, 2011 IEP? Did the District deny Student a FAPE at the May 13, 2011 IEP meeting by failing to (a) make a formal FAPE offer; (b) provide for speech and language services; and (c) list Student’s present levels of performance? On September 15, 2011, Student filed with OAH a motion for stay put seeking to have Student placed at Warner Middle School, his neighborhood school. On September 21, 2011, the District filed its opposition. OAH, by ALJ Adeniyi Ayoade, issued an order on September 26, 2011, denying Student’s motion on grounds that the proper stay put placement was in the SUCSESS class at Johnson Middle School (Johnson) as Student had advanced a grade and the only such program was on the Johnson campus. On January 12, 2012, the District filed a motion to dismiss issues one and two on the basis that the issues were moot as a result of the September 26, 2011 order. Student filed an opposition to the motion on January 13, 2012. Oral arguments were held at the first day of hearing on January 17, 2012. The ALJ ruled on the record that the District’s motion was granted as to issue one and denied as to issue two. As to issue one, Student’s parents consented to the IEP of February 4, 2011, which related only to the remainder of school year 2010-2011, which placed Student in the SUCSESS class. As to school year 2011-2012, the IEP team’s offer at the May 13, 2011 IEP was not consented to by Parents. The District placed Student at Johnson pursuant to the District’s “stay put” obligation as reflected in the OAH September 26, 2011 order. Thus, issue one was moot and District’s motion was granted as to issue one. Since issue two dealt with the implementation of the portions of the May 13, 2011 IEP, which were consented to goals and transportation services, it was not moot as the September 26, 2011 OAH order did not apply to that issue. Thus, the hearing proceeded on issues two and three only. 1. Student is a 12-year-old boy who resides with his family within the District. Student has been in special education since the age of three under the eligibility category of autistic-like behaviors. Student has unique needs in the areas of vocational math skills, adaptive living skills, receptive language, expressive language, reading comprehension, writing, and social/emotional skills. Student is also an English learner as his native language is Vietnamese. He has been in a SUCSESS class since preschool. 2. 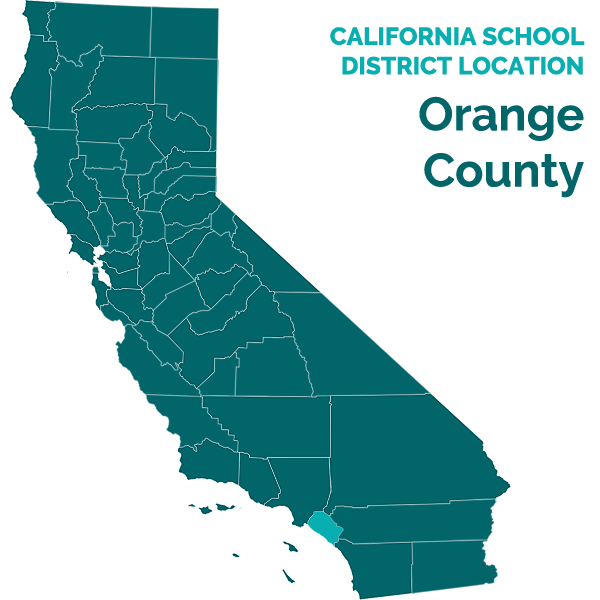 SUCSESS is a program developed by the Orange County Department of Education (OCDOE) in 2002. It involves a special day class (SDC) for children in the moderate to severe range incorporating a variety of methodologies that have proven to be effective for children with autism.2 SUCSESS utilizes a functional alternative curriculum. The class has a two-to-one ratio of pupils to staff. The teacher possesses a moderate-severe special education credential. Teachers attend an extensive training at the SUCSESS Academy run by OCDOE as well as periodic training by OCDOE as to researched best practices. 3. During school year 2010-2011, Student attended the SUCSESS class at Sequoia Elementary School (Sequoia). Student’s parents (Parents) believed that Student was not progressing as he should in SUCSESS as the classroom environment was too noisy and other pupils engaged in negative behaviors which distracted Student. 4. On February 4, 2011, the IEP team convened its annual meeting. The team was also meeting to plan Student’s transition to middle school for the next school year. Attending on behalf of the District were Stephanie Penticuff, a school psychologist and behavior case manager for preschool through sixth grade who acted as the administrative designee;3 Julie Park, Student’s special education teacher; an unidentified general education teacher; Joanne Kudo, an occupational therapist; Linda Allen, speech and language pathologist (SLP); and Michelle Garcia, a District autism specialist. A Vietnamese interpreter also attended. 5. The team reviewed a written progress report dated February 4, 2011, prepared by Park. The report indicated that Student had met his annual goals in reading, writing, social/emotional, adaptive/daily living, and fine motor. Student failed to meet annual goals, although he did demonstrate progress, in receptive language, expressive language, math, and vocational (coin counting). In the areas where he failed to meet the annual goals, his performance was inconsistent or he required prompting. Father discussed Student’s progress with the SLP and Park in particular. 6. The team also discussed Student’s present levels of performance. In the area of reading, Student was able to read short paragraphs that included short vowels and familiar sight words. He was able to identify 50 sight words of which he was able to write 20 or more. In math, Student could solve touch point addition/subtraction problems up to three digits with carrying/borrowing, and was becoming more efficient using a calculator to solve word problems when assisted. Student could copy/write personal information on modified paper in a single format. He was able to focus on non-preferred tasks for two minutes without losing attention and making vocal sounds. Student also could count a combination of two to three coin values up to the amount of one dollar. Additionally, the team discussed eight goals in the areas of receptive language, expressive language, writing, reading comprehension, mathematics, adaptive/daily living, social/emotional, and vocational. For each of these goals, the team listed goal baselines which are the equivalent of Student’s level of performance as of February 4, 2011. 7. The team also adopted eight goals and objectives. The IEP team offered to continue Student in the SUCSESS class at Sequoia for the remainder of school year 2010-2011, with individual speech and language twice per week for 15 minutes per session and group speech and language once per week for 30 minutes. For the extended school year (ESY) 2011 (June 29, 2011 through July 25, 2011), the IEP team offered Student to continue in SUCSESS five days per week for a total of 1095 minutes with group speech and language once per week for 30 minutes. 3 Penticuff was part of a team that conducted Student’s assessment in February 2009. 8. For the school year commencing on September 7, 2011, the team recommended that Student be placed “in a SUCCESS-type (sic) structured classroom program in the middle school setting” which included “intensive instruction and support in social, emotional, functional, and academic learning to enhance academic and overall growth.” The IEP document omits any reference to speech and language services following the 2011 ESY. Allen had orally recommended at the meeting that speech and language services should continue at the same rate through February 2012. Allen also had drawn up proposed goals and objectives, which were accepted by the team, to run through February 2012. Allen assumed that the speech and language sections reflected her recommendation for speech and language services was listed as being from February 4, 2011 through February 4, 2012. Father testified that he was not aware of the omission but that he anticipated that speech and language services would continue based on Allen’s oral recommendation at the meeting. 10. Father signed the IEP. Thus, Father consented to the IEP offer for the remainder of the 2010-2011 school year plus ESY. 11. Following the February 4, 2011 IEP meeting, Parents observed the special education programs at the District’s three middle schools. Father felt that the SUCSESS class at Johnson was identical to the one at Sequoia, and Student would be distracted by the negative behaviors by the pupils and the high noise level in the classroom. Father also believed that the academic level of the SUCSESS class was below his son’s ability. Additionally, the Johnson class had 10 pupils with a teacher and four aides, whom he believed were one-to-one aides for four of the pupils. Father felt that the SDC at the Stacey Middle School (Stacey) would be an appropriate placement for Student, because he did not observe problem behaviors by the pupils and the noise level appeared to be quieter. Father also felt that the academic level of the Stacey class was a good fit for his son. The Stacey class comprised eight to nine pupils with a teacher and two aides. Father felt that the SDC at Warner Middle School (Warner) was not appropriate for his son. The Warner and Stacey SDC’s use a general education curriculum as opposed to the Johnson SUCSESS class which uses a functional alternative curriculum. 4 Hall is the parent liaison in the District’s Student Services division. 12. The IEP team reconvened on May 13, 2011, in a continuation of the February 4, 2011 IEP meeting, to resolve placement for school year 2011-2012. Attendees were Father; a Vietnamese interpreter; Penticuff, as school psychologist; Allen; Park; and Loretta Szebert, as administrative designee.5 The team discussed Student’s progress since the prior IEP meeting. The District team members explained that they felt that the Johnson SUCSESS class was the most appropriate placement to meet Student’s needs and that Student had been making steady progress in the program. Father informed the team that the Parents preferred that Student be placed at the Stacey SDC as they felt that the academic level was more appropriate for Student and there would be fewer distractions because the noise level was much lower than SUCSESS and the pupils were better behaved. Following Father’s presentation, the team discussed Father’s concerns and examined why the SUCSESS class would best meet Student’s unique needs as the classes at Warner and Stacey were not similar. The team then recommended that Student be placed at the Johnson SUCSESS class. The recommendation was unanimous except for Father. 13. The IEP document restated the present levels of performance and the goals and objectives which were in the IEP document for the February 4, 2011 meeting. Under classroom and curricular accommodations and modifications, the IEP reads: “[Student] will participate in curriculum that is based on a subset of the California Content Standards for students with significant disabilities. He is in a SUCCESS (sic) program which includes highly structured instruction and support in social skills, functional, academic, and planning skills to support his overall learning and growth.” It also states that Student will receive the modified curriculum in English-language arts, mathematics, science, and history/social science. 14. In the Instructional Settings/Services section, the IEP repeats the same program for the remainder of the 2010-2011 school year and ESY as was contained in the February 4, 2011 IEP. For the next school year (2011-2012), it states that Student will receive from September 7, 2011 through February 4, 2012, group instruction in a “separate classroom in a public integrated facility” five days per week for 280 minutes per session for a total of 1400 minutes. There is no mention of speech and language services for the 2011-2012 school year. Father testified that he expected that speech and language services would continue at the same rate as in the 20102011 school year based upon discussions at the two IEP meetings. 5 Szebert is also the school psychologist at Johnson. Szebert was initially invited by Penticuff as she was most familiar with the Johnson class. Parents prefer placement at Stacey Middle School for [Student’s] 6th grade placement. The IEP team has recommended continued placement into a SUCSESS program as provided at Johnson Middle School. [Student] has been in a mod/severe (moderate/severe) program and Stacey and his home school of Warner both do not have similar programs. The Special Education Administrator will respond to the parents’ request in a reasonable time. 16. Father did not consent to the IEP and refused to sign the IEP because he did not agree with the IEP team recommendation that Student be placed at Johnson. 17. The evidence demonstrates that the IEP team made a definitive offer of placement at the May 13, 2011 IEP meeting even though Father testified that he felt no decision had been made as to placement at the May 13, 2011 IEP since he was informed that a final decision as to Parents’ request for placement at Stacey must be made by the “boss,” the special education department head. This assertion was contradicted by Penticuff and Allen who testified that a definitive offer of placement at Johnson was made at the May 13, 2011 IEP meeting. This is also corroborated by the IEP document itself. Penticuff testified that since Father asked for a different placement than the team offered, the District offer can be considered a denial of a parental request. The District practice was to refer the matter to Leisa Winston, the District’s administrator of student services,6 to formally respond in writing. The reference in the notes to the Special Education Administrator responding refers to this procedure. 18. On June 10, 2011, Winston forwarded a letter to Parents regarding the denial by the IEP team of father’s request for his son to be placed at Stacey in lieu of Johnson.7 The letter states that it is being made under the provisions of the Individuals with Disabilities Education Act of 2004 (IDEA) section 1414(b) and (c) as a prior written notice. Winston lays out the information considered by the District, which included parental input, professional observations by staff, input from credentialed teachers, past IEP meetings, and progress reports. She also lists the basis of the options considered-the severity of Student’s disability and the staff ratios at both the SUCSESS and Stacey programs; the reasons why the District offered continued placement in the SUCSESS program; and the curriculum and modifications required to meet Student’s needs. Additionally, Winston explained that the District is required to implement the last agreed upon IEP at the middle school level which meant that Student would be in the SUCSESS program at Johnson. Enclosed with the letter was a copy of parental procedural safeguards. 6 As part of her duties, Winston supervises special education. 7 The letter was accompanied by a copy in Vietnamese. 19. On June 28, 2011, Father responded to Winston’s June 10, 2011 letter in writing. Father stated that parents disagreed with Student attending Johnson and requested placement at Stacey as Student would succeed in being more independent and improve his social skills. He requested another IEP to discuss placing Student at Stacey. The District understands that you disagree regarding [Student’s] middle school placement. The District responded to your request in a letter dated June 9, 2011 and included a copy of your parent’s rights. [Student] will be enrolled at Johnson Middle School beginning September, 2011, as the District is required to implement the last agreed upon and implemented program during the pendency of the dispute. Placement at Student’s school of residence, Warner. 22. On September 1, 2011, Winston responded to Campbell’s August 17, 2011 letters on behalf of the District. Winston denied Student’s request for stay put placement at Warner. Winston cited that the proper placement for stay put is based on the last IEP which was consented to by Parents and implemented by the District, which was the February 4, 2011 IEP, which places Student in the SUCSESS class which is only available at Johnson. 23. On September 2, 2011, Campbell forwarded a letter to Winston claiming that the February 4, 2011 IEP failed to determine Student’s placement for sixth grade which was “to be determined” and that Student would be in a “SUCCESS-type program.” Campbell then states that Father “expects the Westminster School District to permit enrollment of [Student] at Warner Middle School in a timely manner.” On September 6, 2011, Winston responded by letter to Campbell disagreeing with “your interpretation of the ‘stay put’ provision in regards to [Student].” She ended her letter by stating that the Johnson staff looks forward to beginning the school year on September 7, 2011, with Student. Winston sent an email to the Johnson principal alerting him that Father may attempt to enroll Student at Warner and to not enroll him. 24. On September 7, 2011, Father attempted to enroll Student at Warner. Mai Vi Nguyen, Warner’s registrar, refused to enroll Student at Warner and referred Father to the District’s main office as Student had an IEP, which was standard procedure for special education students attending a SDC. Nguyen also was aware of Winston’s email. Father responded to Nguyen’s denial by telling her that her action was “illegal.” He then called a person he referred to as his attorney and had Nguyen speak to him. Nguyen spoke to James Campbell, an educational advocate with the SELF, who stated that the state education law required Student to be enrolled at his home school. Nguyen refused to enroll Student and again referred him to the main office. 25. On September 12, 2011, Student filed his Request for Due Process Hearing (complaint). 26. Parents decided to not have Student enroll or attend any District school. Student finally enrolled at Johnson on or about September 27, 2011, following the OAH September 25, 2011 order ruling that the Johnson SUCSESS program was the proper stay put placement. 27. On September 19, 2011, Robyn Moses, Program Administrator at the West Orange County Consortium for Special Education (WOCCSE) responded by letter to Student’s complaint on behalf of the District. On September 20, 2011, Moses forwarded a second letter to Campbell noting that “the District erroneously recorded incorrect dates on the May 13, 2011 IEP document in regards to the period when the IEP team determined that [Student] should receive speech and language services,” which were to continue until February 4, 2012. She included a proposed amendment to the IEP for signature by Parents correcting this error. Moses did not receive a response to her letter. 8 Campbell had earlier stated in her letter that Student did not consent to this portion of the IEP. 28. On October 12, 2011, the IEP team met as a result of Father’s June 28, 2011 request.9 Attending on behalf of the District were Winston, administrative designee; Allen; Ellen Fitzsimmons, program specialist; Shane Vinagupta, the Johnson principal; and Marjorie May Schubert, SUCSESS teacher. Father attended along with Jim Campbell and Wiley Campbell, advocates from the SELF. Student’s advocates presented their concerns about Student’s placement at Johnson and the IEP team discussed services then being implemented. There was a discussion over Student’s speech services, and the advocate requested that the District increase speech services. The District representatives commented that they thought the services were appropriate and that the SUCSESS class includes language concepts and pragmatics in its curriculum. The District representatives also noted that Student was then being assessed in a number of areas, including speech and language, so that the issue could be revisited in the future. The IEP document was prepared as an amendment which reiterated the placement offered at the May 13, 2011 IEP and added that speech and language services from February 4, 2011 to February 4, 2012 would be two 15 minute individual speech and language sessions weekly and one 30 minute group speech and language session per week. Father refused to consent to the IEP but signed as being present. 9 The District had previously attempted to schedule the IEP meeting in September, but this was not convenient to Parents. The parties agreed to the October 12, 2011 date. 29. Schubert is currently Student’s teacher in the SUCSESS class. She has implemented the IEP goals since Student’s arrival in her class in late September 2011. Patricia Larkin was the SLP for Johnson from September 7, 2011 through December 5, 2011, when the regularly assigned SLP, Ashley Kinsling, returned from pregnancy leave. Larkin implemented the speech and language goals from the May 13, 2011 IEP. Larkin was informed by Allen and Kinsling that Student was to receive the same level of speech and language services as shown in the IEP for the remainder of the 2010-2011 school year. She also gave Student extra sessions to make up for those sessions he missed while Parents kept him out of school. Upon Kinsling’s return, she also gave Student extra sessions in January. Kinsling testified that Student has received the same number of speech and language sessions that he would have received had he been enrolled since the commencement of the school year. Student presented no contrary evidence. Both Larkin and Kinsling noted that Student was making progress on timely meeting his speech and language goals. 31. Student in his closing brief bases this claim on the fact that the District refused to transport Student to Warner where he attempted to register. (Student’s Closing Brief dated February 6, 2012, at p. 2.) The District provided testimony that its buses going to Johnson passed by Student’s home during the time period. This was corroborated by Father. Since Student’s proper placement as stay put during this time period was Johnson and Student was not enrolled, the District did not fail to provide transportation services as provided in the IEP. 1. Under special education law, the parent of a disabled child has the right to present an administrative complaint with respect to any matter relating to the identification, evaluation, or educational placement of the child, or the provision of a FAPE. (20 U.S.C. § 1415(b)(6)(A); 34 C.F.R. § 300.507(a)(2006); Ed. Code, § 56501, subd. (a)(1)-(4).) Within those parameters, OAH has the authority to hear and decide this matter. 2. In a special education administrative due process proceeding, the party seeking relief has the burden of proving the essential elements of his claim. (Schaffer v. Weast (2005) 546 U.S. 49 [126 S.Ct. 528, 163 L.Ed.2d 387].) In this case, Student has the burden of proof. Issue Two: Did the District deny Student a FAPE by failing to implement the goals and transportation services called for in the May 13, 2011 IEP? 10. Student contends that the District failed to implement the goals and transportation services called for in the May 13, 2011 IEP because the District did not permit Student to attend his home school, Warner. 11. The District contends that it was obligated, and did make available, under stay put, the placement called for in the last agreed and implemented IEP, which is the February 4, 2011 IEP. This placement was the SUCSESS program which for sixth grade was at Johnson. 12. California Code of Regulations, title 5, section 3042, defines “educational placement” as “that unique combination of facilities, personnel, location or equipment necessary to provide instructional services to an individual with exceptional needs,” as specified in the IEP. Courts have recognized, however, that because of changing circumstances the status quo cannot always be exactly replicated for the purposes of stay put. Ms. S. ex rel. G. v. Vashon Island School District, 337 F.3d 1115, 1133-35 (9th Cir. 2003). In the present case, the circumstances have changed because [the student] has moved from kindergarten into first grade, which includes additional time in the classroom. Certainly the purpose of the stay-put provision is not that students will be kept in the same grade during the pendency of the dispute. The stay-put provision entitles the student to receive a placement that, as closely as possible, replicates the placement that existed at the time the dispute arose, taking into account the changed circumstances. Issue Three (a): Did the District deny Student a FAPE at the May 13, 2011 IEP meeting by failing to (a) make a formal FAPE offer? 18. Student contends that the May 13, 2011 IEP fails to contain a “clear, coherent” offer of placement by the District which would permit Parents to reasonably evaluate in deciding whether to accept it. Student’s argument is that there was no recording in the notes or on tape of the discussions which occurred at the meeting, there is no mention of Johnson except in the notes section, and the notes section uses the word “recommends” when laying out the offer of placement. Student offers no legal authority for this position. 10 In his closing brief, Student argues that the February 4, 2011 IEP is “unclear” where placement is being offered as it refers to a “SUCCESS-type (sic) structured and classroom program” for placement for school year 2011-2012 in the section entitled “Instructional Setting/Services.” Stay put is based on that portion of the IEP which was implemented which is placement in the SUCSESS class. 19. The District contends that the IEP document as a whole clearly lays out the District’s FAPE offer, and the offer was reiterated by Winston’s June 10, 2011 correspondence which reviews the discussions at the IEP meetings, information considered by the team, the offer itself and the reasons for the team making the specific offer. Issue Three (b): Did the District deny Student a FAPE at the May 13, 2011 IEP by failing to provide for speech and language service? 23. Student contends that the District failed to provide speech and language services, which the IEP team determined he needed, because the IEP document omits mention of speech and language services for Student from September 7, 2011 through February 4, 2012. The District counters that the omission was harmless error and that Student received speech and language services as recommended by the IEP team. Issue Three (c): Did the District deny Student a FAPE at the May 13, 2011 IEP by failing to list Student’s present levels of performance? 26. In his complaint, Student alleges that the District failed to provide his present levels of performance at the May 13, 2011 IEP meeting. He argues in his closing brief that the District repeated the present levels of performance from the February 4, 2011 IEP and did not update the levels at the May 13, 2011 meeting which would have been “helpful to the IEP team.” Student offers no legal authority to support his argument that the District was required to set present levels of performance at every IEP meeting. 27. Federal and state law specify in detail what is required to be included in an IEP itself. (20 U.S.C. § 1414(d)(1); 34 C.F.R. § 300.320 (2006); Ed. Code, § 56345.) These requirements are necessary in making an annual program designed to meet the unique needs of disabled children. For instance, the purpose of developing present levels of performance assists in determining a child’s academic and functional levels and how the child’s disability affects his/her ability to participate in school activities as well as setting benchmarks to assist in setting annual goals and measuring progress made by the child in reaching the goals. (20 U.S.C. § 1414(d)(1)(A)(I); Ed. Code, § 56345, subd. (a)(1)(A)-(C).) There is no requirement that an IEP team must set new present levels of performance at every IEP meeting. Pursuant to Education Code section 56507, subdivision (d), the hearing decision must indicate the extent to which each party has prevailed on each issue heard and decided. In accordance with that section the following finding is made: the District prevailed on the issues heard and decided in this case.